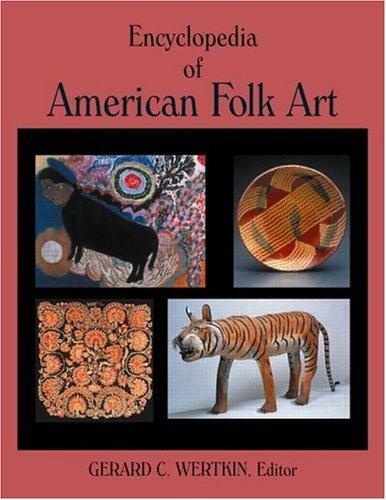 1 edition of Encyclopedia of American folk art found in the catalog. Add another edition? 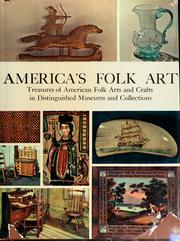 Are you sure you want to remove Encyclopedia of American folk art from your list? Published 2004 by Routledge in New York . 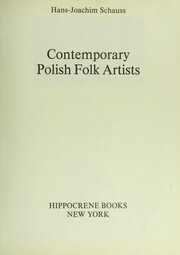 "Written by 92 specialists in association with the American Folk Art Museum, the 600 cross-referenced and indexed articles, with bibliographies, included in this selection are the first comprehensive treatment of this influential art form. 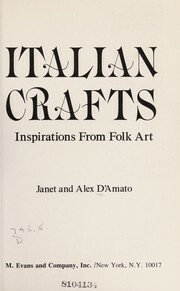 It includes information on bottle-cap art, canes, carousel art, scrimshaw, quilts, beadwork, and many other genres, as well as information on several visionary artists who still practice their crafts. 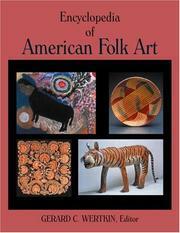 This work has special appeal for folklorists." --"The Top 20 Reference Titles of the Year," American Libraries, May 2004. May 29, 2009 Edited by ImportBot Found a matching record from marc_cca .